The Field Officer references to the past with a range of details, such as its brownish vintage luminescent pigment. The field watch is one of the most classic military pieces. The large numbers on the uncluttered dial provide enhanced legibility. High legibility is the #1 priority here. 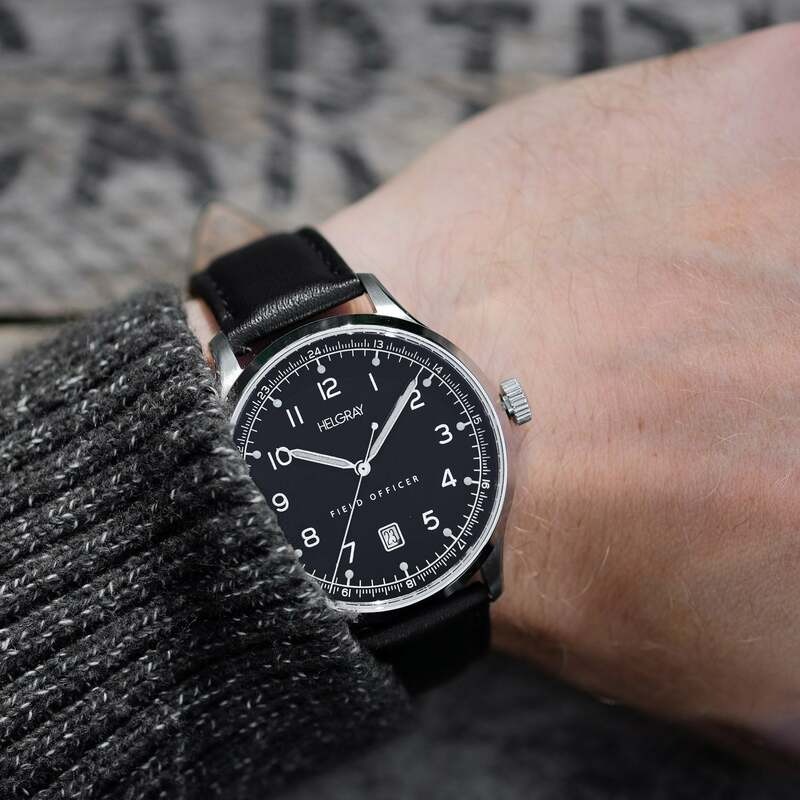 The field watch is characterized by its large numerals stamped on the dial. At night, you can rely on the luminescent numbers and hands to accurately read the time. Instead of a minute track, you'll find a military-time scale. The Swiss Ronda quartz movement powering the Field Officer offers incredible time-keeping accuracy, virtually no maintenance, and is easy to replace if needed. This is what we call uncomplicated ownership. Styled after vintage military watches, the Field Officer brings classic looks in an updated package. The versatile 42mm case is easily dressed up or down depending on your needs.